TEMPE, Ariz., April 7, 2017 /PRNewswire/ -- MedPlast, Inc. announced today that it has appointed longtime medical device executive, Brian D. King, as chief executive officer and a member of the board of directors, effective May 1, 2017. The appointment is part of a planned leadership transition to advance MedPlast's strategy of becoming a leading global services provider to the medical device industry. Mr. King will assume the CEO position from Harold Faig, who will continue to serve as a board member and support the company's technology initiatives. "This is a transition that I have been planning with the Board for some time," said Mr. Faig. "I am very pleased that we have recruited a leader of Brian's caliber to lead MedPlast forward. His industry expertise, global operations experience and commitment to quality will be invaluable to completing the next step in our long-term plan of establishing MedPlast as the first end-to-end services provider in the medical device industry." Mr. King has more than 25 years of executive operating experience, including ten years with Covidien, a global medical products company now part of Medtronic plc. 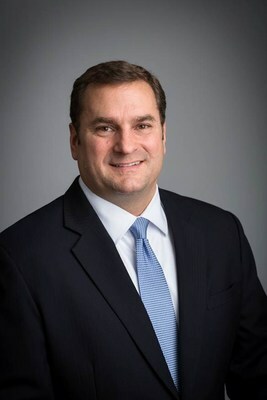 During his tenure with Covidien, Mr. King was promoted to positions of increasing responsibility, including president of Asia, senior vice president of corporate operations and group president of the company's $2 billion emerging markets business. Mr. King also served as chief transformation officer for the DePuy Synthes business of Johnson & Johnson. Earlier in his career, he served in executive positions with oncology pharmaceutical enterprises and as a consultant with McKinsey & Co. Mr. King is a graduate of the U.S. Naval Academy and holds a master's degree in civil engineering from the Pennsylvania State University and a master's in business administration from Harvard Business School. "I am excited to join MedPlast and build on the strong foundation that Harold and his team have created at the company," said Mr. King. "Having worked in the medical device industry for many years, I see a tremendous need and opportunity to create an end-to-end services provider. MedPlast has all of the key components, particularly the expertise, range of capabilities and high-quality standards, to become a differentiated services partner to medical device companies." MedPlast's leadership appointment follows the company's acquisition of Vention Medical's Device Manufacturing Services business, completed last week. The acquisition further extends MedPlast's assembly and packaging capabilities and expands its global network of manufacturing facilities. The company is pursuing additional acquisitions that will broaden its portfolio of services. MedPlast is a leading global services provider to the medical device industry. The company offers a range of engineering, manufacturing, assembly and packaging capabilities that support the world's largest original equipment manufacturers with producing diagnostic, orthopedic, surgical and other medical products. Headquartered in Tempe, Ariz., the company operates 22 manufacturing facilities around the world. For more information about MedPlast, visit medplastgroup.com.